There's a new challenge at Cards und More. This time it's all about a color moodboard with greens, greys and black. I came up with this sympathy card. The German text says: There are moments in life when the world just stops for a second. And when it starts going round again, nothing is still the same. 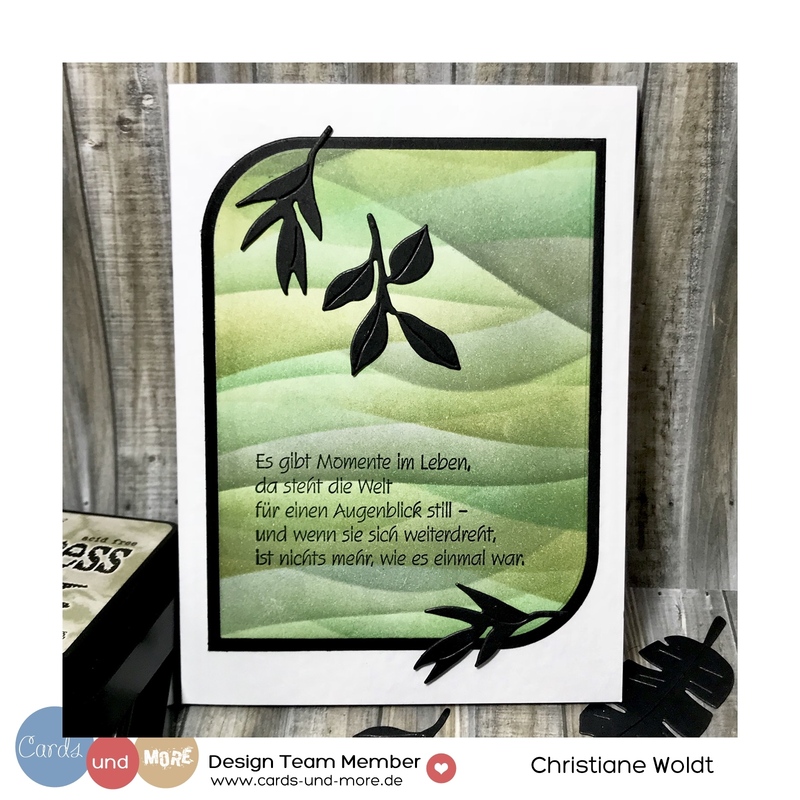 The background is created with the My Favorite Things Drifts & Hills stencil, the foliage is die-cut with the Waffle Flower Greenery dies. So please join the challenge and see the inspiration cards of the other DT members!